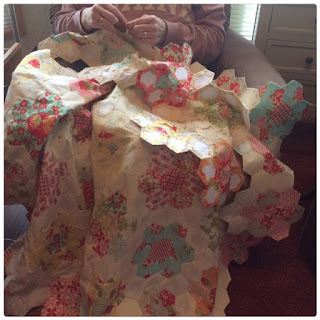 Seashore Quilting: The Garden Grows! I love english paper piecing, especially in the quiet of the morning! My Grandmothers Flower Garden quilt is really growing!! July will be two years I have been working on this one. How time flies! I stopped by to see how this beauty has been going. so lovely!